June 6, 1917 was a Wednesday. Interestingly, you can reuse your old 1917 calendar in 2018 as both will be exactly the same. Apart from the USA entering the first Word War on this date not a whole lot else of historical significance happened on the 6th of June 1917. But significant things did happen that day...in a small cottage in Cornakill, Co. Cavan, Jack and Rose Sheridan welcomed their son John into the world. Jack and Rose would go on to have 10 children, one of whom, Michael, died while only a child. Rose herself would die very soon after the birth of her youngest, Biddy. The remaining children were sent to various relatives to be brought up, as Jack wasn't able for that challenge himself. 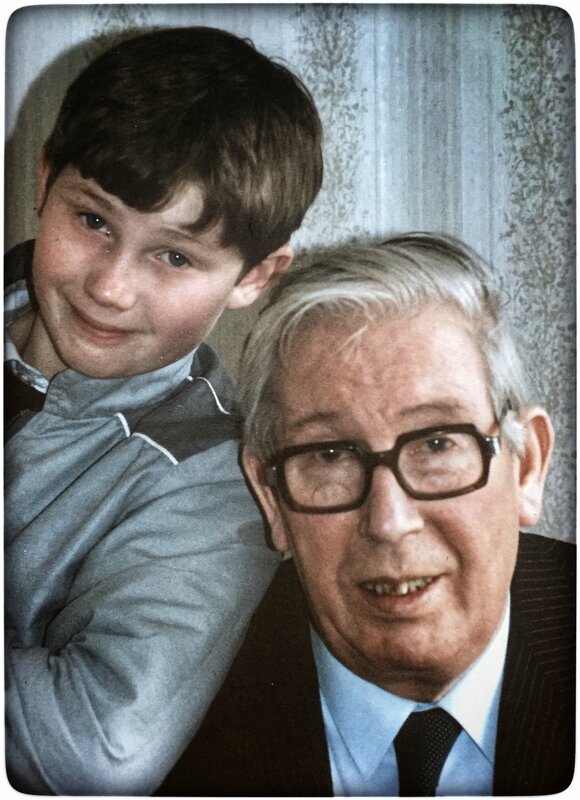 John was sent, at 11 years old, to Sallins, Co. Kildare to live with his uncle Andy. He became the postman there as a young man. Over his life John would be many things; farmer, bottle corker, fisherman, postman, barman, undertaker. Above all else though, he was a husband, a father and a gent. Locally he would be known as the Baker, a memory from the trade of more distant ancestors. That trade differentiated our family's linage from the numerous other Sheridan families in the area...we are still known locally as the Bakers. To me though, John Sheridan was just Dad. Unfortunately I have few memories of him as a healthy man; shuffling and unsteady, trying to play football with me in the garden, watching the Embassy snooker with him, polishing shoes on a Sunday morning. Mostly I remember the warmth, the chuckle, the love...even through the ravages of alzheimer's that eventually destroyed his body and mind. All of Rose and Jack's children are now long gone...but their memory lives on in all us that they brought into the world. They were good, hard-working, decent people. I try live up to that reputation. The newspapers may not note much of significance happening on Wednesday, June 6th 1917...but I have my entire life to thank for what occurred 100 years ago today, in a little cottage in Cavan.